My alternative doctor suggested that I take ChromeMate GTF 600 by Pure Encapsulations several years ago to help control blood sugar. I don't have diabetes, and don't want to get it, and this has kept my blood sugar where it should be. 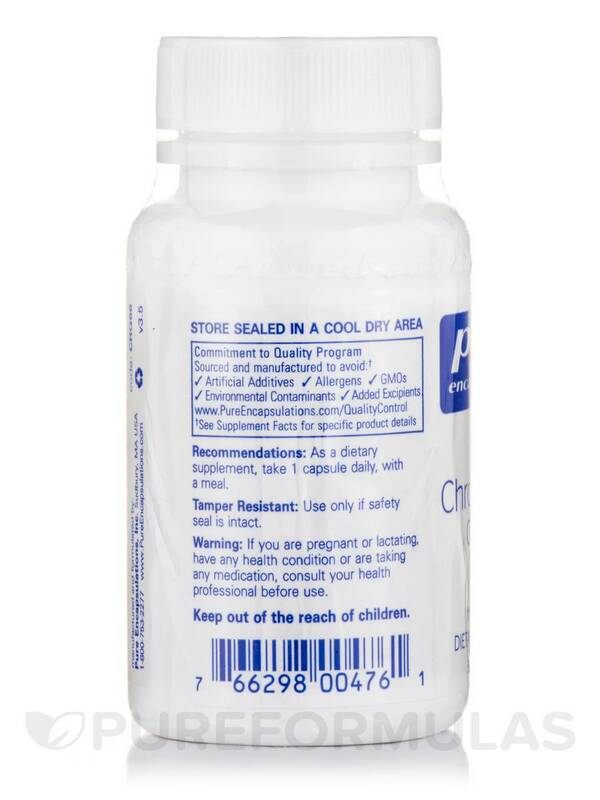 Chromium is a trace mineral involved in a variety of bodily functions. Perhaps most important is its ability to support a healthy metabolism. When combined with a balanced diet and regular exercise‚ chromium may help you maintain a healthy body weight and composition (with more lean muscle mass and less fat‚ especially in women). 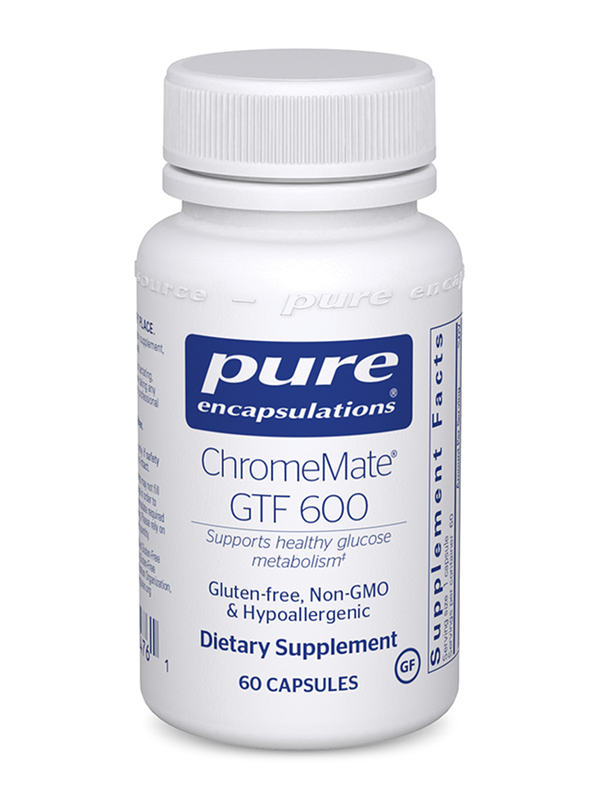 Dietary sources of chromium are wide-ranging‚ but typically only contain small amounts; this makes a supplement like ChromeMate® GTF 600 by Pure Encapsulations helpful. Foods that are relatively good sources of it include broccoli and whole grains‚ as well as some meats and spices. A diet high in simple sugars may mean that you are at risk for a chromium deficiency. Performing strenuous physical activity on a regular basis may also deplete your chromium levels. Meanwhile‚ nicotonic acid is a form of niacin (vitamin B3) that may work to support heart health and overall cardiovascular well-being by affecting enzymes in the liver and fatty tissues; as a result‚ it may modify how the body breaks down the fats in your diet. Combining chromium with nicotinic acid may further boost its effectiveness. ChromeMate® GTF 600 does just that in a convenient capsule. Your body requires chromium in order to process and metabolize lipid and glucose metabolism‚ because the mineral plays a crucial role in Glucose Tolerance Factor (GTF) activity. 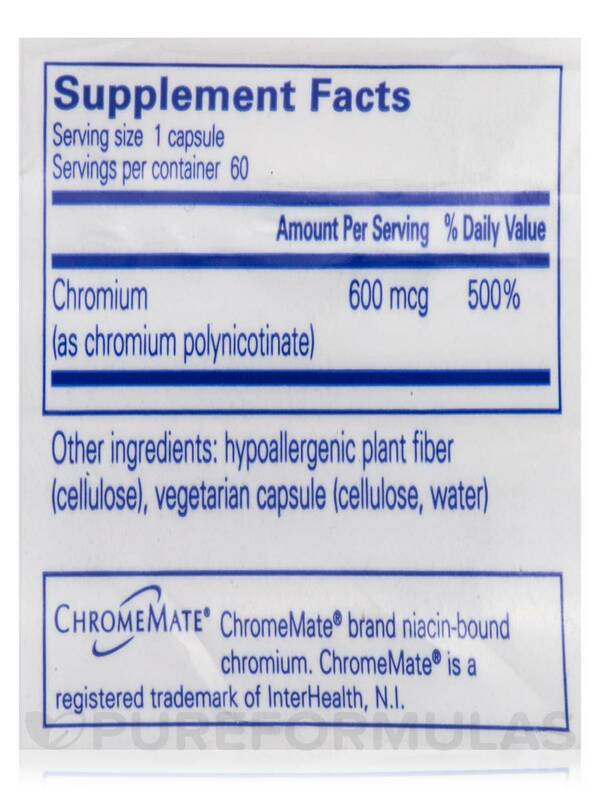 If you previously used Pure Encapsulations' Chromium (niaCHROM)‚ ChromeMate® GTF 600 can serve as an advanced substitute. Every capsule contains 600 micrograms of chromium polynicotinate‚ which may help your body maintain already healthy insulin levels and support energy production. Take one capsule daily with a meal. 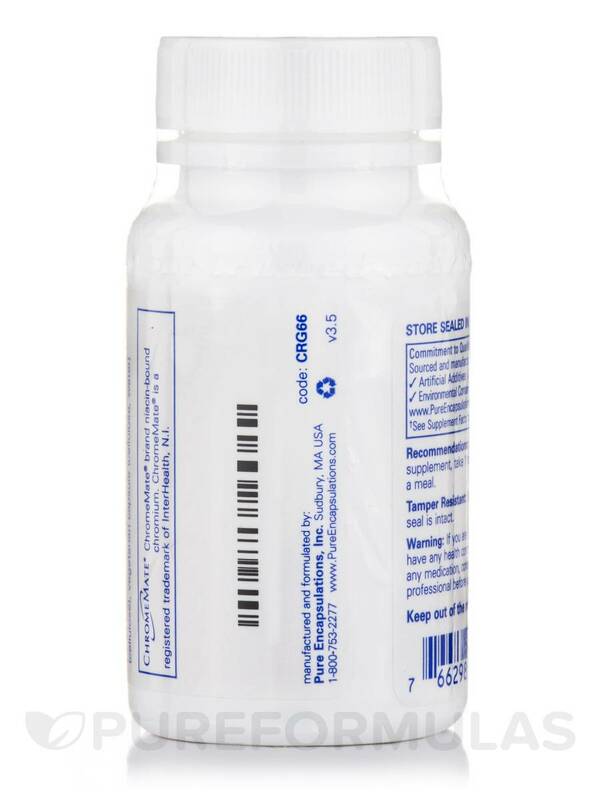 At the recommended dosage‚ each 60-capsule bottle of Pure Encapsulations' ChromeMate® GTF 600 should last for about two months. 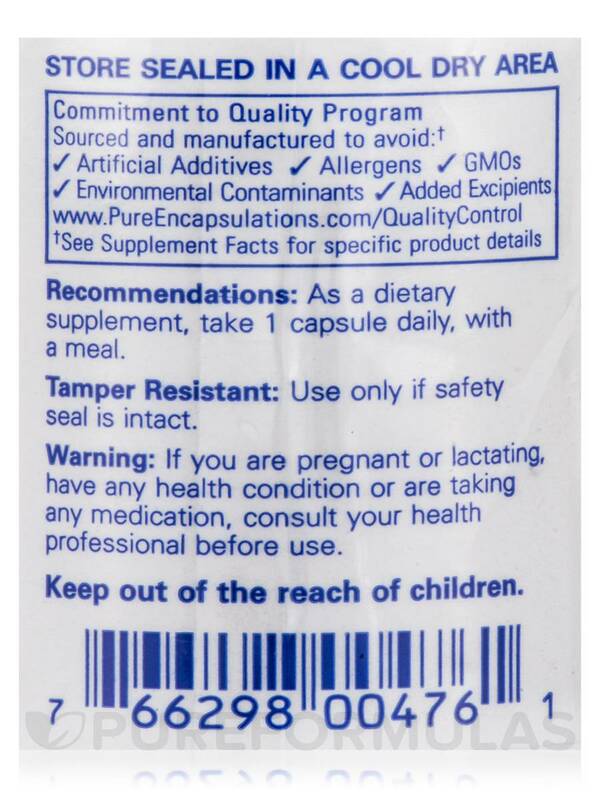 I like the easy-to-take capsule, and the fact that it doesn't contain magnesium stearate.. It seems to do the job. My NPD recommends it!